Christina [Tina] Kennedy is professor emeritus from the Department of Geography, Planning and Recreation at Northern Arizona University. She is a past president of the Association of Pacific Coast Geographers and recipient of their Distinguished Service Award. Kennedy is one of the founding members of the subfield film/media geography. Her 1997 paper, Towards a Holistic Approach to Geographic Research on Film, coauthored with Chris Lukinbeal, was one of the first formal reviews of this field published in a peer-reviewed journal. She was a co-principle investigator on the Arizona Board of Regents funded project “Mediated Geographies: Critical Pedagogy and Geography Education.” Many of her journal articles and book chapters focus on meanings, values, and experience in relation to landscapes, place, and film. At the 2004 International Symposium, “The Geography of Cinema – a cinematic World,” held at Universitat Mainz, she presented Living with Cinema: An Autobiographical Approach to the “Reel.” She is currently a board member of Aether; Journal of Media Geography. 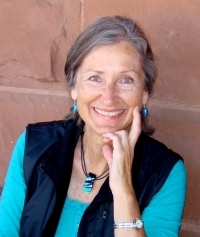 Her other main focus in resource management lead to her investigation of fire history and land-use change in California’s Sierra Nevada Mountains, as well as publications on the environmental impacts of tourism on the Colorado Plateau in Arizona, and the Effects of Political, Social, Economic and Land Use Changes on Biologically Sensitive Habitat in the Arizona-New Mexico Mountain Ecoregion. Tina is a product of the Western United States. The daughter of a sawmill worker and housewife, she and her two brothers were raised in a small mining and logging town, Grass Valley, in California’s Sierra Nevada foothills. Attending University of California, Davis and then the metropolitan UC Berkeley campus in the late 1960s, were major ‘culture-shocks’ for her. These shocks were mitigated by summers spent working and hiking in the crest of the Sierra Nevada Mountains. Between her junior and senior year of college, she traveled to Anchorage, Alaska and worked the winter as a housemother for emotionally disturbed, Eskimo and Tlingit children. On graduating with a BA in Sociology from UC Berkeley in 1970, she was hired by the US National Park Service as a seasonal ranger naturalist in Yosemite National Park where she worked for a year and a half. The following seven years she alternated between city life in California’s Central Valley with living in national parks and monuments. In addition to Yosemite, Tina lived and worked in Death Valley National Monument and Point Reyes National Seashore. She then moved to Arizona where she lived on the Navajo Nation, in the White Mountains, and then Tucson. In Tucson, she entered the geography graduate program at the University of Arizona. In 1985, she earned her masters degree and in 1989, her PhD. Her foci were environmental perception and resource management. Tina’s academic career continued at California State University, Hayward and Northern Arizona University (NAU). At Hayward, she taught geography and environmental studies from 1989-1995. Her long-standing interest in film geography developed at this time. In 1995, she returned to Arizona and began teaching at NAU with an emphasis on cultural geography. While at (NAU) she was able to engage in her lifelong desire to explore various parts of the world. Her travels include two trips to Europe and China, visits to Myanmar, Thailand, Laos and a trip on the Trans -Mongolian and Trans-Siberian Railroads. In 2001 she spent two months learning Spanish and living with a family in Antigua, Guatemala. Spring, 2009, she volunteered with Cross Cultural Solutions in Dharamshala, Himachal Pradesh, India. There, she worked with a group of young women who were improving their conversational English skills, preparing for job interviews, and learning about other cultures while sharing their own. Tina gained as much from this experience as she gave. Between 1989 and 2010, Tina developed and taught over twenty-five different graduate and undergraduate courses while maintaining an active research agenda. Her teaching, research, and travel experiences have given her skills that are useful in her development as a traveling scholar and teacher. "Take 3. Living in a Mediated World"
"The use and abuse of photography in geography"
zum Inhalt des zweiten Vortrags: "The creation of the reservation system in the United States both increased segregation between Native Americans and the dominant society and provided a land base key to many tribe’s identity. Following the end of the ‘Indian Wars’ in the U. S., stereotypes of Native Americans were promulgated though Wild West Shows, novelists, and cinema. This presentation briefly discusses select recent films involving Native American Actors and screenwriters followed by a discussion of student reactions to the film ‘Smoke Signals’ and impressions of Southwestern U. S. reservations."